Would you give up everything, even the time in which you live, to be with your soul mate? 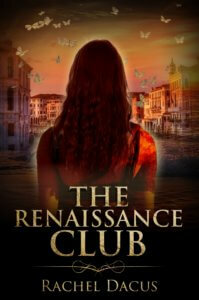 The Renaissance Club tells the tale of a young art historian’s quest to meet and be with her hero from the past, the 17th century Italian sculptor Gianlorenzo Bernini. Can she and her idol, Bernini find a shared foothold in time?